I do not have the exact dimensions but with a bowling ball being just under 9 inches we can say that the length would be around 18 inches, width would be around 12 inches, and height is around 10 inches. Can you put shoes in this bag? Shoe pouch holds up to men's size 15. 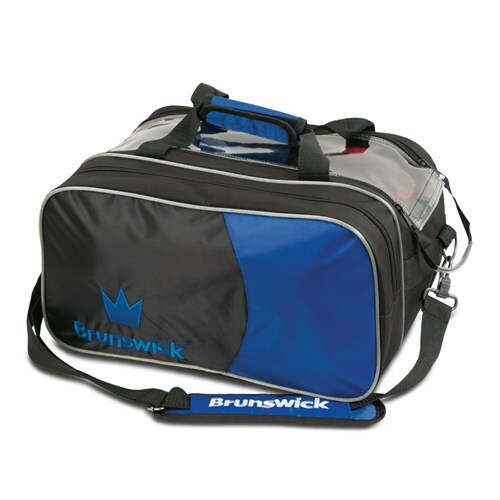 Due to the time it takes to produce the Brunswick Crown Double Tote Royal With Pouch ball it will ship in immediately. We cannot ship this ball outside the United States.